Steven Abbott Associates LLP (SAA) has provided professional planning services to secure a resolution to grant outline planning permission for 9 dwellings ( 7 market and 2 affordable) in the Arnside and Silverdale Area of Outstanding Natural Beauty (AONB). The proposals were submitted by JMP Architects on behalf of Strong Developments Limited. 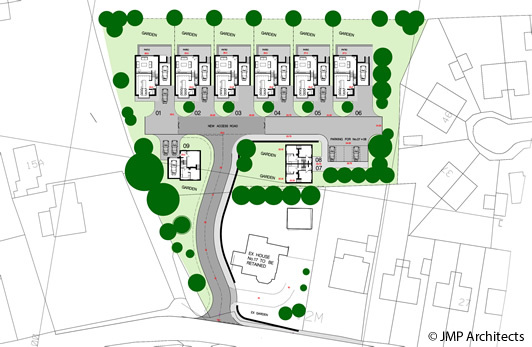 The scheme at Warton was approved unanimously by Lancaster City Council’s Planning and Highways Committee on 13 November 2017. The Committee recognised the benefits of an appropriate level of housing to contribute to identified local needs, and that the scheme would not have significant adverse impacts on the special landscape qualities of the AONB. “The clients are delighted with the clear resolution of the City Council to support this sensitive scheme which will deliver a modest level of housing to support and sustain the settlement of Warton. In addtion to SAA and JMP Architects. the professional team for the scheme included Envirotech (Ecology), PSA Design (Transport) and Yew Tree and Gardens (Landscape and Visual Impact and Arboricultural Impact).